We, at Domestic Lift Services, supply and install stairlifts across the Home Counties and London. 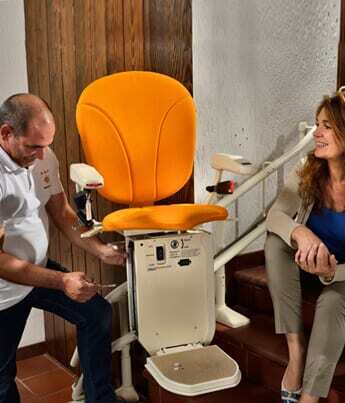 We have many years of years of experience; we are an accomplished and respected and stairlift company that works to strong traditional values. As we grow older, we find it increasingly more difficult in carrying out simple and mundane tasks that we once found easy, like using the stairs. 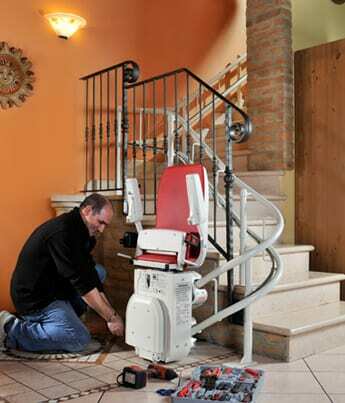 We install high quality stairlifts that are reliable and provide great value for money solutions. If your property has lots of stairs or just a normal flight of stairs that you have difficulty in climbing, contact us before you consider to downsizing or move into a smaller bungalow. Our trained and experienced technicians have many years of experience in the industry so you can have total confidence in your stairlift installation. Whatever your needs we at Domestic Lift Services have a wide choice of stairlifts to match your individual requirements. 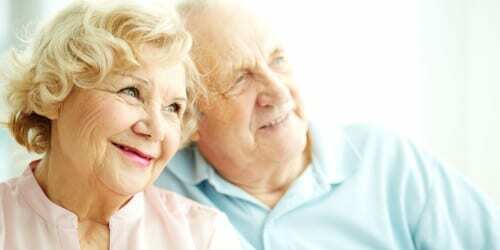 These include curved stairlifts, straight stairlifts and through the floor stairlifts. For additional information and support, contact us direct on 01494 471430. Our experienced and dedicated team is on hand to provide their experienced and professional advice for your personal situation. They are dedicated to providing a solution that is affordable to your individual requirements.